What is the difference between Randy's books on money and giving? Please contact EPM to request your kit. Browse all of our resources on money and giving that pastors can use for study or distribute to their churches. 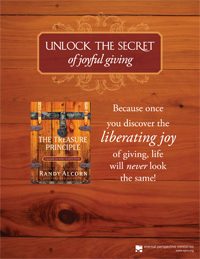 Randy writes in The Treasure Principle: "I carry in my wallet a little card. ... Keeping the card near my cash is a powerful reminder of what is true." 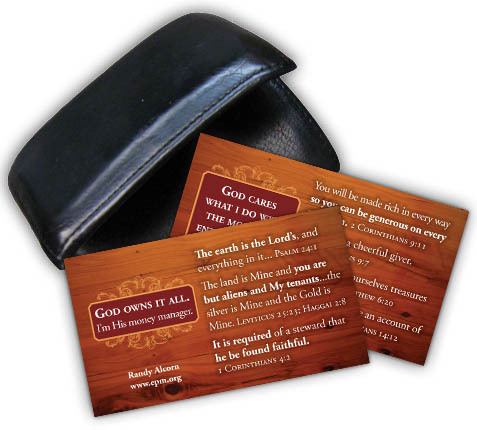 If you would like to obtain quantities of the card, you can purchase them in packs of 20 for $1.00 (plus S&H), or download free printable pdfs of the card in English or Spanish at www.epm.org/moneycard. The class Randy Alcorn taught at Western Seminary is available in its entirety on DVD. 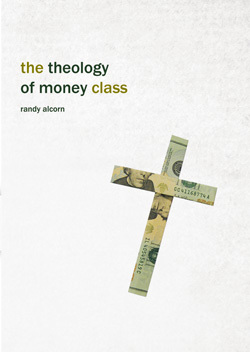 The Theology of Money Class explores the biblical doctrine of money and possessions, with special emphasis on using them to have an impact on eternity. With a view toward God's glory and eternal rewards, it includes practical application and attention to the stewardship of money in churches, families, and in personal lifestyle choices. See our online store for current pricing or to purchase, and to access free class resources. Download High school small group curriculum titled "What's God Got to Do with It?" "I want to say thank you for making so many of your resources available for free. You could make a whole lot more money if you were to charge even a reasonable amount for the stuff you put out, but the investment you're making in the lives of God's children is well worth the trade off. I know there are other pastors who have benefited from epm.org and most of them will never write you an email. So on behalf of all the pastors and their congregations who have been blessed by your ministry—thank you." What Is the Difference Between the Study Materials Available for The Treasure Principle Book? 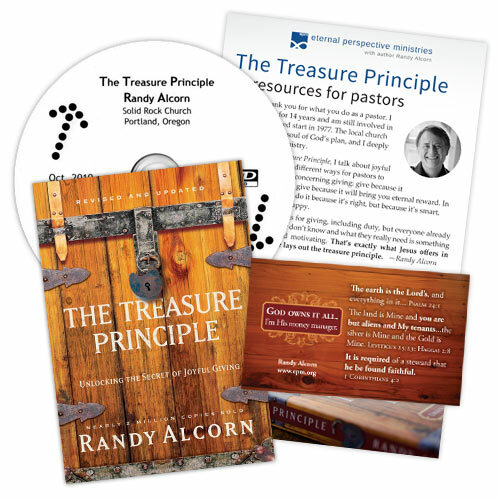 Comparison of the study materials available for Randy Alcorn's The Treasure Principle book.